The Ritz - what else can I say! Beautiful units, great location, fabulous Fearings, and a world-class spa. The Ritz raised the bar in Dallas high-rises. “Full access to Fearing’s Restaurant; a 12,000-square-foot, world-class spa; 24-hour valet and concierge; in-room dining; and housekeeping service. The homes will also include a private auto court; underground parking with individual storage spaces; a private pool with lush landscaping; an exclusive resident fitness center on the ground floor; and a private dining/meeting room.” No pets for tenants. ° The ultimate in sophistication at the Ritz Carlton Tower I Residences. This exquisite 2 bed, 2.1 bath offers an open floorplan with stunning views, hardwood & marble flooring throughout, gas fireplace, custom shades & drapes and a generous terrace. The state of the art kitchen boasts top of the line appliances including Wolf gas range, SubZero fridge, granite countertops & breakfast bar. The luxurious master suite is the perfect retreat with its marble clad bath featuring dual vanities, oversized jetted tub, separate shower & walk-in closet. Ritz Carlton Residences five star building amenities include twenty four hour valet, concierge, bellman, resort style pool, fitness center, pet park & hotel services. ° Additional Info: HOA dues are $1,583 monthly, 2 covered parking space(s), 1 fireplace(s), Dallas ISD. 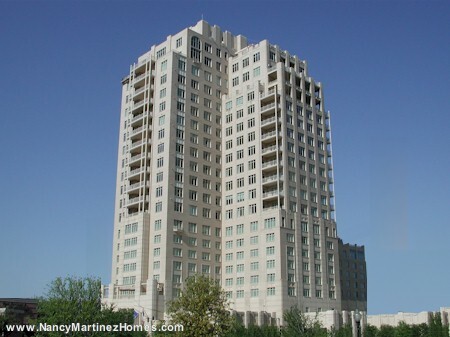 ° The exquisite in refinement at The Ritz Carlton Tower 1 Residences in the vibrant heart of Uptown. Easily accessible to Kylde Warren Park, Arts District, Victory Park, Design District, Five-Star restaurants, shops, and galleries. Upscale maintenance-free lifestyle, concierge service, valet, spa, fitness center, pool amenities too numerous to mention. Custom upgrades including Lutron Lighting, Onyx countertops with Led lighting, Custom Accent art lighting throughout. Marble & Hard Wood Floors, Chefs kitchen with Subzero refrigerator, Wolf cooktop, ASKO dishwasher, Kohler & Kallista plumbing fixtures, His & Hers closets off Master Suite, Enchanting night views from Balcony, Storage unit lower level. ° Additional Info: HOA dues are $2,344 monthly, 2 covered parking space(s), 1 fireplace(s), Dallas ISD. ° Price change! Recently cleaned and paint touch-ups throughout! An Exceptional 2 bedroom, 2.1 Bath with Study OR Optional 3rd Bdrm at The Ritz-Carlton. This Home can be modern or traditionally decorated, and must be seen to be fully appreciated! Home features 2 walk in closets in the master suite, and his & her master vanities and toilets in the master suite. Special Features include Elan Custom AV System with Touch Panel Screens, Motorized Shades throughout. Home has Upgraded Marble, Custom Paint Finishes including Crown Molding, Venetian Plastered Walls in Powder Bath. ° Additional Info: HOA dues are $2,471 monthly, 2 covered parking space(s), 1 fireplace(s), Dallas ISD. ° Listing Agent: Ariane Stern, Allie Beth Allman & Assoc. ° Additional Info: HOA dues are $2,847 monthly, 3 covered parking space(s), 3 fireplace(s), Dallas ISD. ° Additional Info: HOA dues are $2,896 monthly, 3 covered parking space(s), 2 fireplace(s), Dallas ISD. The following units are listed for lease in Residences at the Ritz-Carlton - I as of April 13, 2019. ** Note that landlords may have more restrictive limits on pets than indicated above.